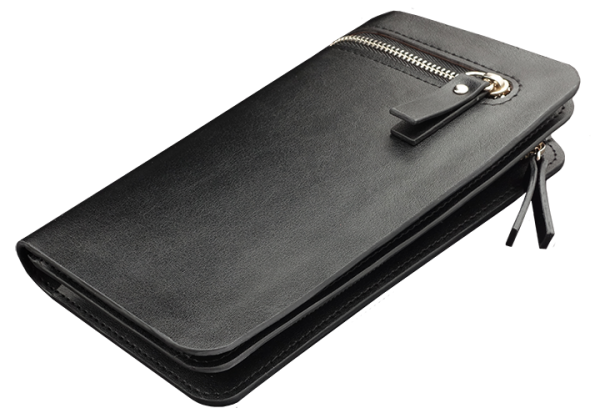 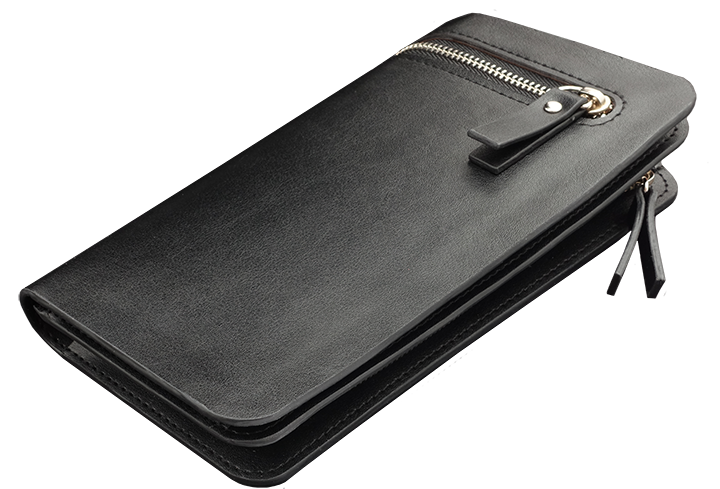 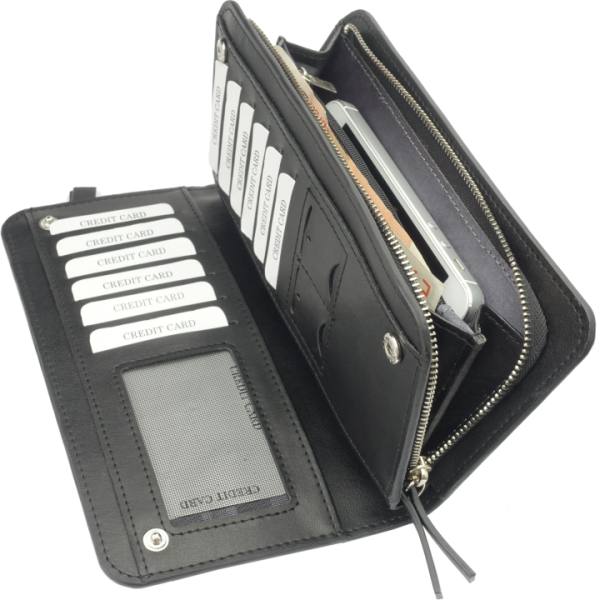 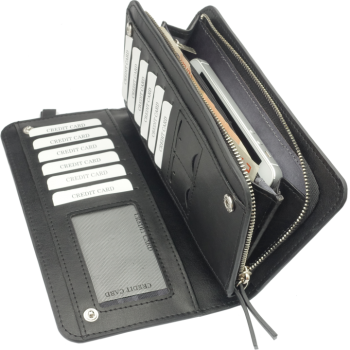 high-quality, large wallet made of imitation leather with additional compartment and external zipper. 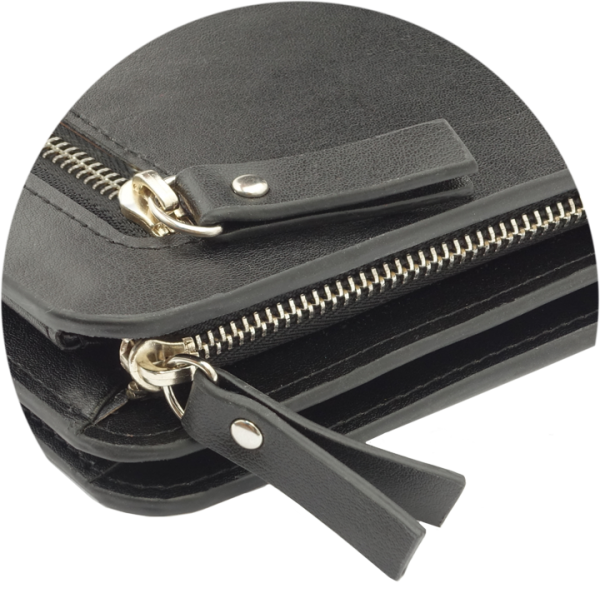 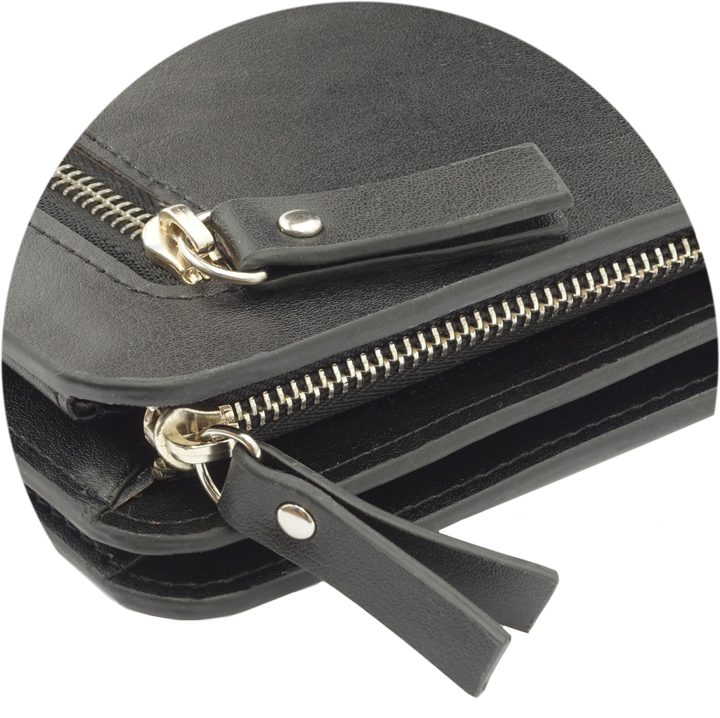 zipped compartment, zipper for coins. 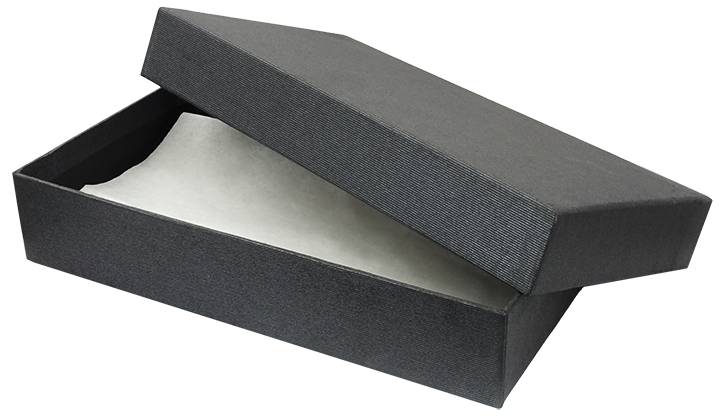 Dimensions: 10 x 19 cm. 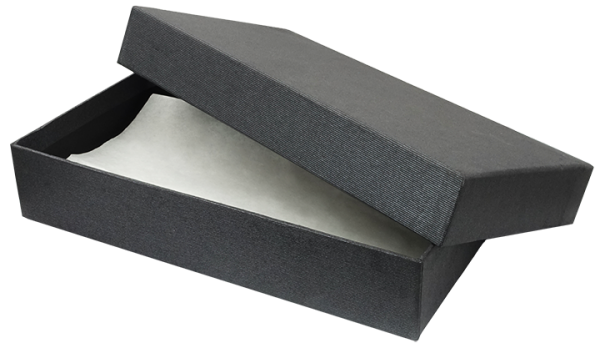 Packed in gift box. 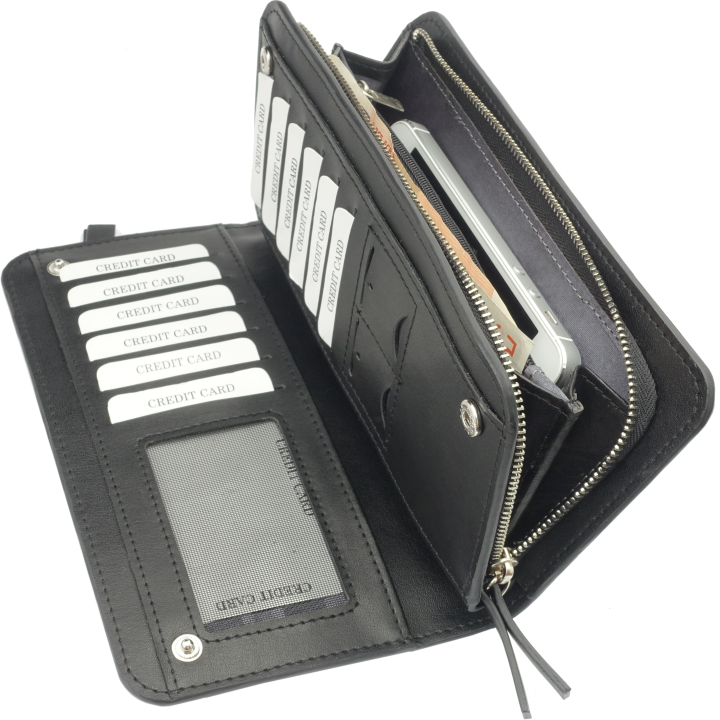 Prices incl. embossing or laser engraving with your logo!